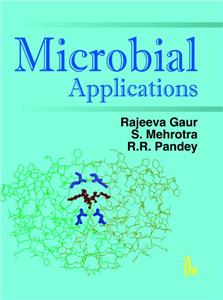 Rajeeva Gaur | I.K International Publishing House Pvt. Ltd.
did post-graduation in Microbiology from G.B. Pant University of Agriculture and Technology, Pantnagar, Nainital in 1984. He earned his Ph.D. degrees in Microbiology from the Centre of Advanced Study in Botany, Banaras Hindu University, Varanasi in 1992. He joined Sarya Distillery as the Manager, Research and Development in 1992 and worked till 1994. Then he joined as lecturer in the Department of Microbiology, Dr. Ram Manohar Lohia Avadh University, Faizabad (UP) and is presently working as Reader in the same department. He has successfully completed several research projects from different funding agencies and has served the University with distinction in various academic and administrative positions. He has published 45 research papers in national and international journals of repute. His current research interest is in the commercial exploitation of Aureobasidium pullulans as a source of biodegradable plastic.